Multi-talented artist Inigo Pascual leads the first ever Billboard Philippines Top 20 for his single "Dahil Sa'yo,” making him the first OPM artist to hit the number one spot in the BillboardPH Charts. Inigo’s feel-good song is the top pick in BillboardPH’s June 12 chart, composed of twenty of the most popular local tunes across all genres. “I was emotional when I first learned the news. As a kid in the States, I’ve always dreamt of being in the Billboard charts,” shares the young singer. The freshly released chart reflects current favorite hits of Filipinos in listenership and purchases across different platforms. According to Billboard.PH, the songs are ranked by streaming activity figures from Spotify, Apple Music and YouTube as well as download sales data from Apple iTunes. From these sources, Nielsen Music collate and average data to determine the final list of hits and hitmakers. 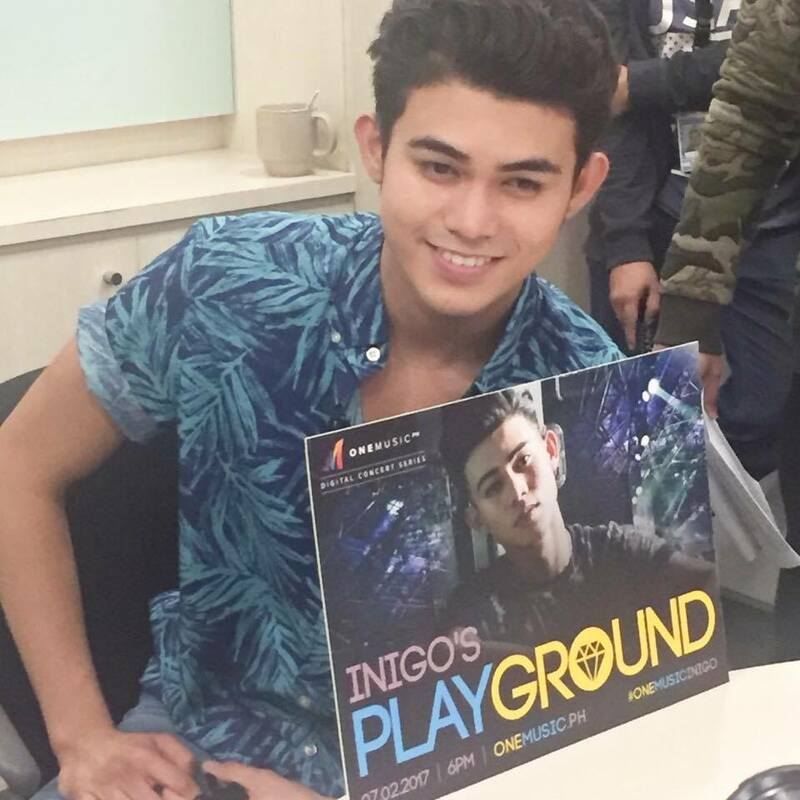 Inigo composed the song “Dahil Sa’yo,” the carrier single of his self-titled debut album released by Star Music. It has become a certified hit among today’s listeners since its October 2016 release. The young singer’s chart-topping single is also included in BillboardPH’s Hot 100, ranking number 21 in the most popular local and international songs of the same period. 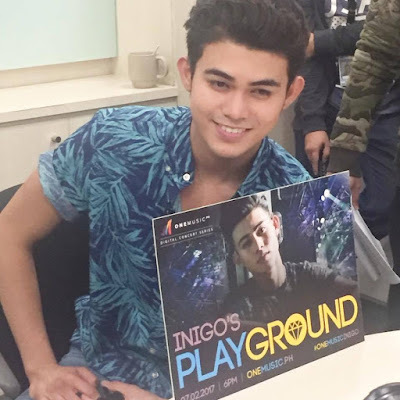 Coming on the heels of his chart success is his digital concert for ABS-CBN’s music portal One Music PH (www.onemusic.ph) called “Inigo’s Playground,” which happens on July 2 at 6PM. His fans around the world can get to watch Inigo perform songs he wrote himself, as well as the performances by his special guests Ylona Garcia, Mariz Racal, Kyle Echarri, Moira Dela Torre, and mixes by Kidwolf, the producer of his debut album. Like One Music PH’s previous digital concerts, the show will be available online to fans anyone with an internet connection and a mobile device or desktop computer. Fans can also interact with him and get to watch hi digital concert in all angles with the show’s multi-camera setup.